Over the past two years, Peter Miller and his partners at Canopy Growth Corp., Green House Seed Co. and Organa Brands have quietly pieced together an array of products and brands with the intention creating one of the industry’s first proper consumer packaged goods companies. The result is SLANG Worldwide Inc., which begins trading on the Canadian Securities Exchange on Tuesday with a market cap of around $340-million. SLANG’s initial public offering – a rarity in the land of reverse takeovers – follows a $66-million financing round led by Canaccord Genuity Corp. Unlike the Canadian licensed producers (LPs) and U.S. multi-state operators that dominate the cannabis public markets, SLANG avoids cultivation and retail for the most part. It does have a 20-per-cent stake in AgriPharm Corp., an Ontario-based LP it co-owns with Green House and Canopy. (Canopy was an early backer of SLANG and maintains the option to acquire 32 million SLANG shares if U.S. federal law changes). However, SLANG’s focus is on licensing intellectual property, mostly in the U.S. The company recently acquired Colorado-based Organa Brand’s IP portfolio, which includes brands such as O.penVape and District Edibles, for US$20-million in cash and 82.5 million shares, and bought the Firefly vaporizer brand for $US16-million in cash and shares. It also has an agreement with Green House Seeds to sell the Dutch company’s legendary genetics in North America. 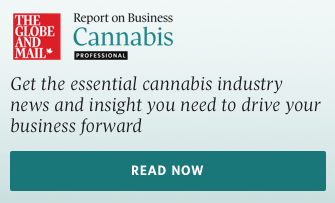 Mr. Miller has been at the heart of the cannabis industry for the past six years, having founded AgriPharm in 2013, which later merged with Mettrum Ltd. Canopy bought Mettrum in early 2017 for $430-million. Cannabis Pro spoke to Mr. Miller about his new venture. The interview has been edited for clarity. Cannabis Pro: Why is SLANG focusing on intellectual property rather than cultivation or retail? Peter Miller: Every market that legalizes cannabis and has a relatively open regulatory framework follows a path of commoditization of cultivation, to the point where in states like Colorado we bought pounds of cannabis to extract from for as low as $137 and no higher than $400 this season. That’s down from a few thousand just five years ago when they first legalized for adult use. More licenses will inevitably be issued and the verticals are typically broken up. So we look at where the highest value parts of the supply chain are. By buying the raw material, processing it, making a finished good and dropping it to a retailer wholesale, we see our business model as long-term, regardless of what the markets and regulations do. We're not avoiding retail because we think it's inherently bad business. Ultimately we don't want to compete with our customers; our billing customer is the retail store. CP: SLANG owns intellectual property, but does not actually manufacture products, at least not in the U.S. How does this work? PM: Organa Brands was a three-legged stool; there was the company that did not touch the plant, which owned and developed the IP and the formulations – that’s [National Concessions Group], the entity we totally acquired. The other two entities [Allied Concessions Group and NS Holdings] are extraction and manufacturing assets and state licenses around the U.S. Those are under binding option, and we can exercise those options at our discretion. Going back to a Coca-Cola analogy, NCG would provide the cans, the syrup and the standard operating procedures on how to make the finished product. Those other entities are like the bottlers that would then locally fill that can with water, carbonate it and drop ship to the retailer. CP: Having watched consumer trends in the U.S., what do you consider SLANG’s key brands? PM: We see most markets follow a generally similar pattern. Out of the gate, it’s a bud-dominant market, because that’s what people understand and that’s what the regulator allows first. Once vapes enter the market, people see a more discreet, lower temperature form factor that they’re really drawn to, so vape quickly becomes a pretty large category, and ultimately segments a few ways. Then edibles. Within edibles, gummies are the most popular, and beverages are least popular. Our brand District Edibles does incredibly well. We’re expanding that brand to do more than just gummies, with chocolates launching. Within the vape category, we have the Firefly offering at the premium end – we’re releasing a high-end [Firefly] oil vaporizer and already have the O.Pen Craft Reserve. At the value end of the spectrum is the O.Pen, which has cash register lifetime sales of over $200 million. At the bargain end, we have Bakked, and then at the specialty end we have a brand called Ish, which is flavoured distillate. CP: Most of your brands are from the U.S. Do you have interest in Canadian brands as well? PM: I don’t necessarily think all the good IP will be developed in the U.S., but historically the U.S. has been the market where, in many states, an adult can walk into a store, purchase cannabis and leave, very seamlessly. Even in a lot of the medical states, it was easier to access than in the Canadian medical market. The Canadian market will become more and more interesting as the access to adult use cannabis becomes better and better. Under the draft regulations for vapes, concentrates, edibles, etc., which appear to be rolling out this fall, we'll be bringing every product that we're allowed to into the Canadian market. CP: Where does AgriPharm fit into this plan? PM: Ultimately, it is a supply chain asset, which allows us to get these products to the Canadian market, and, by virtue of the fact that it is a federally regulated market in Canada, to Europe as well. We don't promote the fact that we own equity in a licensed producer. It's a great asset, we’re proud of it, and it's going to be a great avenue to get our product to market. But touting how many licenses, square-footage, capacity, etc. that you have, is kind of a two-, three-year-old story. Ultimately what matters is how much cannabis is being sold with your name on it, and everything in the middle is going to have to be based on what's practical and efficient. CP: SLANG also has a partnership with Green House Seeds (a well-known Dutch genetics company that owns the media brand Strain Hunters). Where do they fit into the picture? PM: AgriPharm is going to be launching the Green House and Strain Hunters bud product imminently. In the U.S. it really depends market by market what’s possible, and who has genetics that would be worthy of that brand. We’ll sell seeds where we can, and bud where we can. Bud typically goes two ways; there’s the really high-end, and then there’s kind of everything else, people just looking for a low-cost good. The history, trust and authenticity that comes with the Green House and Strain Hunters brand is really unmatched in a lot of ways. CP: You recently spent $US16 million to acquire Firefly (a dry herb vaporizer company) even though sales have declined significantly in the past two years. Why? PM: The dry-herb vaporizer category is losing ground to oil vaporizers; that would be the same if you looked at any of the competitors in the market. But the most interesting thing to us about Firefly, on top of the fact that the legacy product is very impressive, is that they had developed prototypes around a suite of oil vaporizer products and concentrates products. The founder Mark Williams is an incredibly skilled industrial designer; he left Apple computers to start firefly a number of years ago. So the bench strength we have in industrial design now, under his team, can be applied across the entire suit of brands. As it turned out, if you look at what Canopy paid for Storz & Bickel, as multiple relative to what we paid for a competitor of Storz & Bickel – which does not do materially different in the dry herb market, certainly not relative to the prices we paid – I think we got a pretty good deal. CP: Why did you go the IPO route, rather than listing via reverse takeover, like so many other cannabis companies? PM: On top of the price – it was less expensive to do it this way – the most important thing was transparency, and the trust that that transparency engendered in our investors. When we were talking to accounts, especially in the U.S., they were a little bit turned off by the Canadian RTO thing they were seeing so much of. The fact that we were doing a full prospectus I think opened a lot of cheque books, and as a result, a huge amount of our investor base is institutional, from the U.S.
CP: There’s a tendency in Canada, among the media and the investor community, to focus on publicly traded LPs. What is being missed when we focus too much on cultivation? PM: I think there’s an element of muscle memory, where the early licensed producer story was such a great trade for so many people, just based on square footage and licensing, that you’re seeing something similar in the Canadian market with regard to valuation around retail. But I think a lot of people are missing something very important, which is that this is a consumer packaged good and it’s going to abide by the rules of CPG. Agriculture is done best by mom and pop. Those can be larger mom and pop operations with a few thousand acres of corn, soybeans, wheat – but in the real world, the mom and pop farmers sell their grain to a wholesale buyer, and that wholesale buyer sells that grain to consumer packaged goods manufacturer, who then wholesales finished product to grocers, convenience stores, etc. Ultimately that’s where this goes. Cannabis isn’t going to be this unique and super magic industry that doesn’t track the rules of consumer packaged goods.